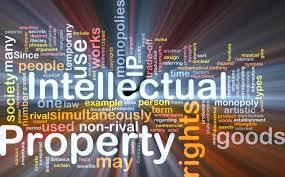 Why is Intellectual Property Relevant? 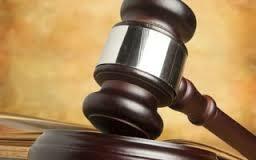 It was estimated that in 2012 slightly over two million patents were in-force in the United States alone. 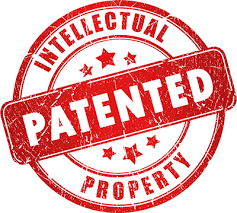 Then in 2014, according to the World Intellectual Property Organization, an additional 200,000 patent applications and nearly 50,000 trademark applications were filed for around the globe. Applying for and then paying for, the ongoing maintenance fees for patents is expensive, and businesses and individuals that have incurred the time and expense filing for patents and trademarks, should be expected to defend their intellectual property. It's prudent for enterprises to take full responsibility for ensuring they're not infringing intellectual property rights of third parties or they can risk incurring expensive litigation. As small and medium size business enterprises increasingly understand the game-changing potential of the internet and effective use of e-comm erce then, the large established companies that own the bulk of the intellectual property are likely to come under increasing competitive pressure from these smaller, more flexible enterprises. As the large companies recognize the competitive threat they may be expected to pull out all the stops to defend their market share including (if warranted) patent and trademark litigation. The costs associated with intellectual property disputes are high. Remember, for a large business these costs can be more readily absorbed as part of the costs of doing business but, for a small business enterprise, they can be the difference between survival and failure. Furthermore, small businesses should not make the mistake of thinking they are too small to be noticed and are able to stay "under the radar" in order to avoid litigation. As already mentioned, one of the biggest threats starting to loom over large established organizations is the cumulative threat of many small businesses leveraging technology and the internet to level the playing field and chip away at their customer base. In order to extinguish this threat, large organizations will deploy litigation strategies to deal with small enterprises if they believe their intellectual property rights are being violated. With regards to the office supplies vertical and specifically ink and toner, anyone who's been involved in this business for any length of time, knows the industry has a long track record of expensive and damaging litigation. Furthermore, it's not likely the threat of litigation is going to go away and, for the reasons already mentioned, it may even increase. For these reasons, resellers of office products and supplies need to make sure their house is in order and exposure to potentially ruinous litigation is minimized. Of course it's simply not possible for thousands of resellers to know about all the patents and the possibilities for infringement that exist. Instead, they must rely upon their suppliers and the manufacturers to have the capabilities and know-how to protect them. There are relatively few major manufacturers of generic printer cartridges remaining, but those that do remain, have a high level of expertise and know-how when it comes to intellectual property and infringement risks. Because of the scope of relevant patents and their technical complexity, resellers have no option but to rely on these manufacturers and their expertise. However, a diligent reseller should be demanding indemnifications or "hold-harmless" agreements from their suppliers to eliminate incurring any risk of financial burden resulting from potential litigation. Any manufacturer that's completed the required intellectual property due diligence and is confident there's no infringement should also be prepared to stand behind its products in order to protect its customers. Any supplier that balks at a request for an indemnification agreement should be avoided and alternative solutions should be selected. For more information on the growth opportunities for small to medium size independent resellers in the office products vertical and why the critical subject of intellectual property should not be ignored, please click on the link below to download our free e-book on the subject of business transformation and the office products industry.